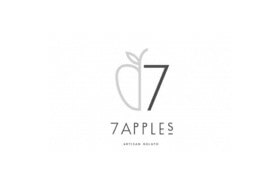 The legendary 7Apples from St. Kilda branches out to Chadstone! For the very first time, our delicious gelato can be enjoyed in the new food court at Chadstone shopping centre. Visit our beautiful vintage gelato cart, offering 7Apples classic flavours made daily with the freshest ingredients. Looking for artisan gelato in Chadstone? Come taste the difference of 7Apples.